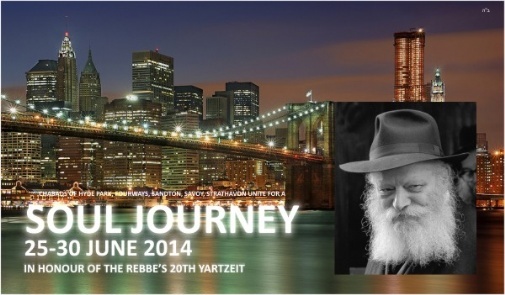 Join our trip to pay tribute to and be inspired by the Rebbe and receive great blessing for you and your family. Thursday/ Friday: Tour Jewish New York, visit the most unique Jewish library in the world and read Tehillim in the Rebbe's private office. Visit the cutting edge studio of Jewish Educational Media and the Chassidic Art Institiute. Sample the best kosher food in New York and pick up some Judaica for your home. Shabbos: Shabbaton in Stamford Connecticut with a stellar crew of speakers and inspirational personalities. Sunday: Join hundreds of couples from around the world for the unique "Soul Encounters" programme at the Ohel.